Two men were indicted by a Delaware County grand jury Friday after prosecutors say they threatened a witness in an upcoming court case. Nathaniel Clark, 26, of 173 Silver Maple Drive, Delaware, and Shadow Arthur, 22, of Marion, were both charged with intimidation of a witness in a criminal case, a third-degree felony; and aggravated menacing, a first-degree misdemeanor. The charges stem from an April incident in which Clark fired a handgun in his neighborhood and was later arrested by police. Police report that a witness to the April incident, Roger Porter, 45, of 146 Silver Maple Drive, Delaware, called police the morning of June 13 about 2:30 a.m. to report that Clark, a neighbor, had come to his house. Porter is a witness in a pending criminal case against Clark. Porter told police that Arthur, who was with Clark, threatened him with a knife. Police allege that Arthur told Porter that he would be harmed if he testified against Clark. Clark and Arthur were located at a nearby apartment and arrested. They were charged with intimidating a witness and aggravated menacing, and taken to the county jail. Clark was also indicted by the grand jury on a charge of menacing by stalking, a fourth-degree felony. Police allege Clark stalked Porter between June 1 and June 13. Clark had been indicted by another grand jury in May on charges of having weapons under disability, a third-degree felony; using weapons while intoxicated; a first-degree misdemeanor; and inducing panic, a first-degree misdemeanor. Delaware police responded to a complaint of loud music at Clark’s residence about 11 p.m. April 22. Police said they spoke to Clark who showed signs of intoxication but did turn down the music’s volume. Police were called to Silver Maple Drive more than an hour later — at 12:47 a.m. — regarding gunshots heard in the area. Porter told police he had seen Clark stand in his doorway and fire a handgun at the ground before returning into his house. Police called in the Delaware County tactical team which helped police resolve the situation after evacuating residents in nearby apartments. Clark was taken into custody and several firearms were seized from his home. Clark’s arraignment in Delaware County Common Pleas Court for the charges from the April incident is scheduled for July 27 at 9:45 a.m.
Arraignments for the charges issued Friday have not been set but Judge David Gormley will handle the case. 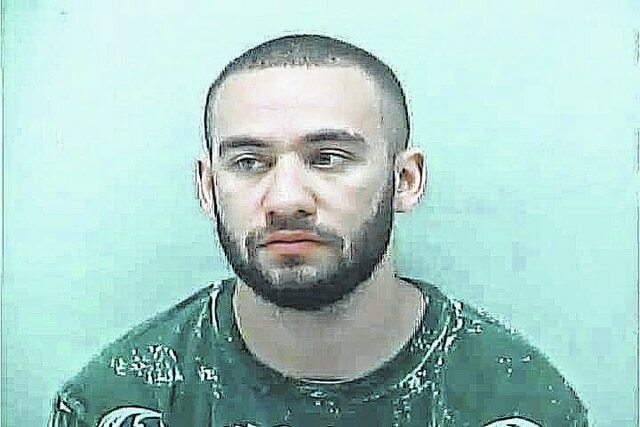 Clark was out on bond, while Arthur was still in the Delaware County Jail Friday afternoon.